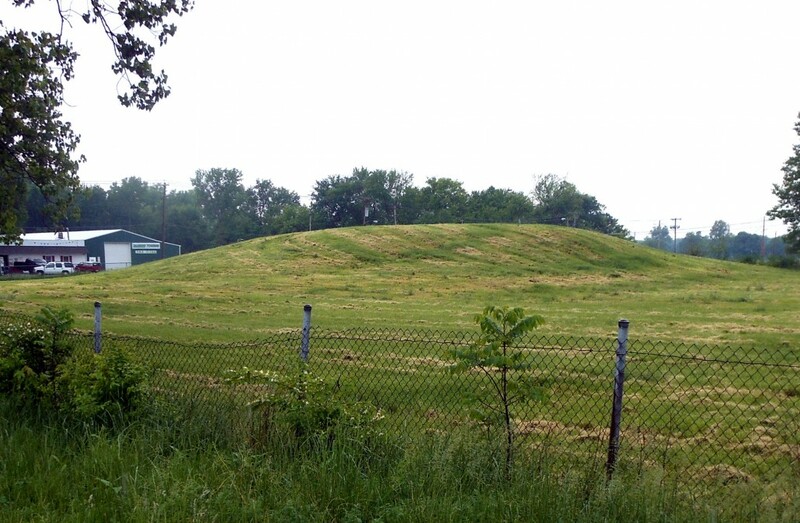 Shown by Patrick as a large, circular-based, flat-topped mound north of what was then called the Collinsville Plank Road (now Business Route US 40), this is one of the better-preserved mounds in that area. A house standing on Mound 28 since the 1870s probably accounts for its preservation. The Illustrated Encyclopedia and Atlas Map of Madison County (1873) shows a house in this area on land owned by a Thomas Kent. The aerial photographs of 1922 show a house and other buildings, as do 1933 and more recent aerial photographs. A brick house stood on this property as recently as 1969, when the State of Illinois purchased it and demolished the house. On the UWM 1 lap, using a 128-meter (420 feet) elevation as the base of the mound, Mound 28 extends from N1-56 and E908 962, giving a north-south dimension of 55 meters (180.4 feet) and an east-west dimension of 54 meters (177.2 feet). The contours on the base map suggest the original squarish outline. Taking abase elevation of 128 meters (420 feet), the top of the mound is 131.7 meters (432.1 feet), representing a height of 3.7 meters (12.1 feet). The earlier maps give varying heights; the McAdams Map of 1882,10 feet (3.0 meters); the Thomas Map of 1894, 20 feet (6.1 meters); and the Peterson-McAdams of 1906,18 feet (5.5 meters). Undoubtedly there is a certain amount of slope wash around the base that obscures the true base of the mound. There are no published records of excavations in Mound 28. When the house on Mound 28 was destroyed, the basement was left intact and filled so that it could be easily cleaned out and the basement walls removed for stratigraphic study.